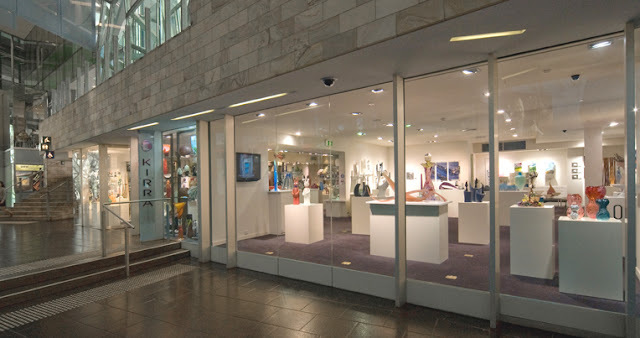 This is our first Kirra Galleries News for 2012 in which we celebrate our tenth anniversary at Federation Square. It seems like only yesterday that the Premier of the day - Steve Bracks cut a ribbon at 11.00am and two minutes later walked into the Gallery. I have always been a lover of Classical music and am a great fan of Kathy Selby and her Trio, Selby and Friends. Kathy is one of Australia's pre-eminent pianists and has been giving concerts at Melbourne University's Conservatorium, but is moving her venue to Federation Square's BMW Edge. Our Gallery is thrilled at the move and is pleased to mark the occasion by welcoming the Trio and those members of the audience who are on our email list see details of special offers below. I look forward to welcoming you for post concert cocktails and a chance to meet the artists on Wednesday 21 March 2012. Selby and Friends presents A Ghost at the Café, a stunning program of piano trios at BMW Edge Theatre, Federation Square on Wednesday 21st March @ 7:30pm featuring Beethoven's 'Ghost' trio, Shostakovich's gut-wrenching response to WWII with his second trio, a set of Miniatures by the English master Frank Bridge and the extraordinary mix of jazz, ragtime and blues in Schoenfield's iconic Cafe Music piano trio. 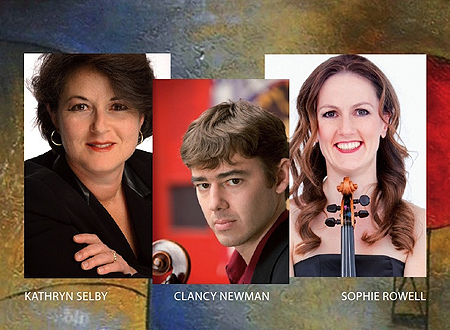 Artistic Director Kathryn Selby (Piano) is joined by former Australian String Quartet leader Sophie Rowell (Violin) and virtuoso cellist Clancy Newman visiting from New York. KIRRA GALLERIES' patrons who purchase tickets using the above code will also be warmly invited to a post-concert cocktail party at KIRRA GALLERIES to not only meet the performers and share a glass of wine, but also view our exhibition, 'OSMOSIS' featuring the work of Tevita Havea and Harriet Schwarzrock. Any Gallery purchases made on the night, after the conclusion of the concert, will attract a discount of 10%.